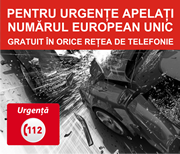 Appointments for all RAR’s Branches in Romania will be done at phone no. 021 9672, only. Monday – Wednesday: from 8.00 a.m. to 4.30 p.m.
Thursday: from 8.00 a.m. to 8.00 p.m.
Friday: from 8.00 a.m. to 2.00 p.m.